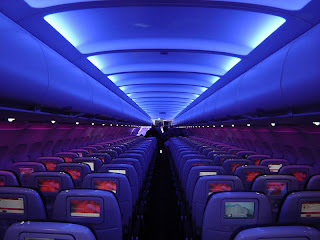 virgin atlantic? oh la la. they treat you like a princess, even in coach. the NY subway is a cluster--Paris is much easier. I'm not a fan of NY, but Passing Strange is Awesome! do you want my sister's contact info, just in case? she's friends with Stew's personal assistant on PS, too.